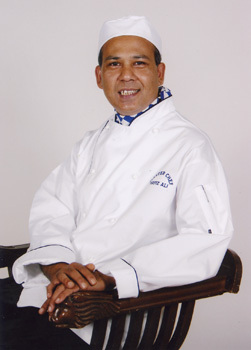 Celebrity TV chef Mafiz Ali is preparing a sumptuous feast at his Ayr Spice Indian Restaurant in Minishant South Ayrshire for customers old and new to celebrate the Royal Wedding of Prince William and Kate Middleton next week. It will be a banquet fit for a future King and Queen. Succulent whole king prawns cooked in a pan with a variety of spices in a medium, thick sauce with aromatic flavours and a splash of red wine. Chicken or lamb tikka delicately marinated with authentic spices and barbecued and glazed in a clay oven with master-seeds, herbs and spices to produce a mouth-watering sauce. Succulent salmon fillet pan-fried with fresh onions, peppers and tomatoes in a rich sauce topped with an ultimately rich blend of house yoghurt and coriander. There will also be a barbecue on Friday, Saturday and Sunday 29 and 30 April and 1 May from 12noon until 10.30pm price £9.95. Food served outside weather permitting! PLEASE NOTE THAT THIS ROYAL WEDDING DAY MENU IS ONLY AVAILABLE BY PRIOR BOOKING. TELEPHONE 01292 441413. Mafiz Ali has enjoyed a busy and successful start to 2011. He has also already this year put on successful special menus to celebrate Mother’s Day and the Bangladeshi New Year. And finally, Mafiz has extended the opening hours of Ayr Spice Indian Restaurant, which is now open from 12 noon 10.30pm every day. And he has also introduced a Tandoori Barbeque, at which customers can dine al fresco (weather permitting!) in a family-friendly atmosphere with a treehouse for the kids and ample parking. There will be further exciting developments to be announced during the course of the rest of the year which will cement Ayr Spice’s place as one of the top fine dining experiences in South West Scotland. Mafiz Ali has been closely associated with charities, notably when he entered the Guinness Book of Records with 4.5 tons of chicken korma, which was then eaten at a charity event. Because of the enormous quantities involved he had to seek the advice of a professional engineer for the technical realisation of the project. His other charitable activities have included the Essex Air Ambulance Service and several children’s charities.